NIA CHARLESTOWN NEVIS (November 14, 2018) — The following is an address by Junior Minister of Health in the Nevis Island Administration (NIA) on the occasion of World Diabetes Day observed on November 14, 2018. The campaign draws awareness to the 425 million people living with diabetes worldwide. In St. Kitts/Nevis this disease is one of the leading causes of death. It is important to note that, 20 percent of the adult population is diagnosed with this disease, which is caused by overweight and obesity among other risk factors. 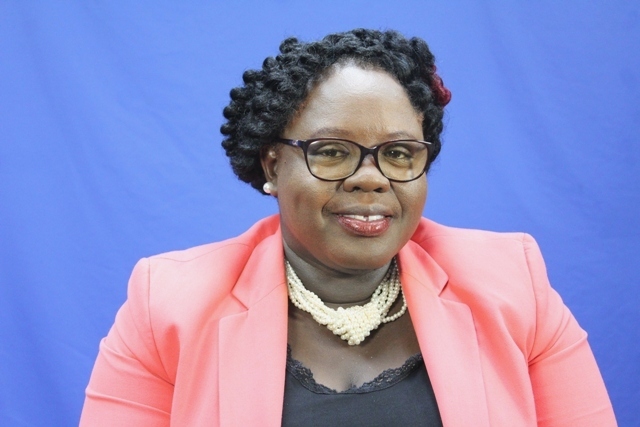 The Ministry of Health is also concerned about the number of overweight children who are likely to be overweight adults putting them at risk for diabetes. In some parishes up to 30 percent of children in the 0-5 age group are overweight or obese. In response to the high prevalence rates of diabetes, the Ministry of Health has developed several Public Health programmes for the prevention and effective management of Type 2 diabetes. In an effort to promote primary prevention as early as the preschool level, activities include but are not limited to the promotion of the consumption of fruits and vegetables, the increased consumption of water, and the reduction in consumption of sugar sweetened beverages. These preventive measures are not only promoted, but put into practice through school feeding programmes. Additionally, other interventions targeting healthy lifestyle practices, are evident at the community and workplace levels, which also focus on the promotion of physical activity. Interventions targeted at early diagnosis of diabetes are a priority for the Ministry of Health. In addition to increasing our outreach activities for diabetic screening in the communities, we also partner with workplaces, community groups and faith based organizations to ensure effective screening of individuals. We take the opportunity to applaud the various groups who host screening exercises and are available to guide others who wish to do the same. In an effort to ensure that diabetics receive the adequate tools to manage their illness, diabetic clinics are held monthly in each health centre to provide guidance on effective management. This is necessary to prevent the progression of this disease which can result in complications leading to amputations, kidney disease and eye disease. Recently we have expanded our efforts in this regard with the introduction of a chronic disease self-management program in some communities which provides additional tools in this area. In the prevention and management of this disease the government has contributed, and will continue to invest. One such investment is the implementation of a Chronic Disease Risk Factor Survey which will be done in 2019. This survey will collect valuable information on not only diabetes, but overweight and obesity rates, as well as hypertension and other risk factors which will give us a true measure of the disease burden. This information, will therefore guide our public health interventions. Additionally, as we recognize that non communicable diseases are major health concerns, we welcome the advancement of Universal Health Care for all on the island. Over the next few months, we will hear quite a lot on this discussion, and look forward to the input of diabetics, their families and the wider community on this issue. As we partner with individuals and the entire family structure to reduce the impact of diabetes on our population, we are also cognizant that while our country has advanced in economic development, there are some negative consequences on our nation’s health. We call on families to return to our traditional diets that focus on the consumption of ground provisions and other local vegetables and less on processed starchy foods such as white rice and pasta. We also want you to be aware of the impact of predatory marketing of unhealthy foods and beverages through television and internet advertisements that have made a great impact on the dietary patterns of our children and have caused them to shun our traditional diets. The reduction of diabetes in our population will require the efforts of all of us. Let us work together, one family at a time, to ensure that diabetes does not continue to negatively affect our community.